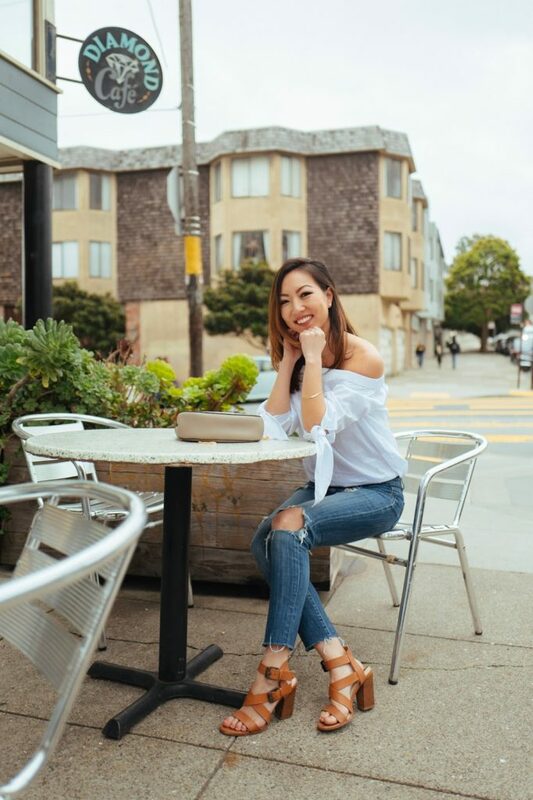 StyleWe off the shoulder bell sleeve blouse, Paige Premium distressed denim, Kate Spade stud earrings, and Zara sandals. 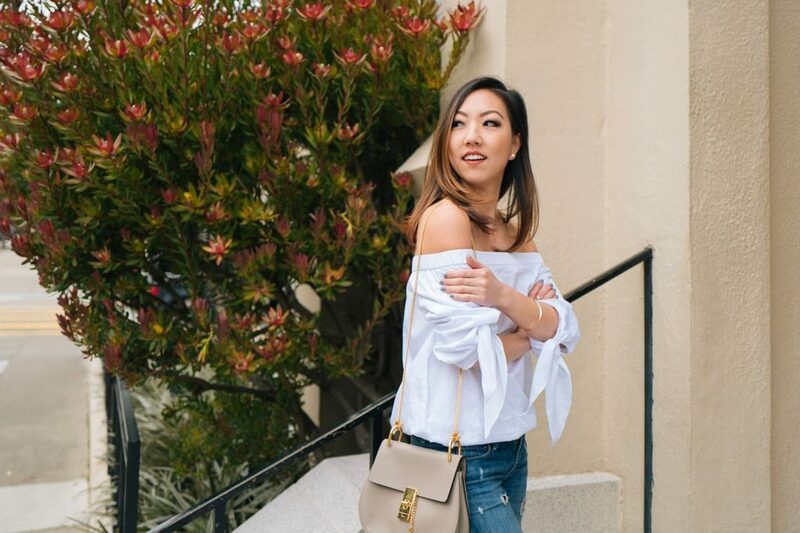 The one blouse trend to look out for in 2017 are bell sleeves. This 70’s trend got re-introduced in 2016 from designers such as Chanel and Chloe, yet it’s coming full force in 2017. Retail companies have caught onto this runway trend and have been producing their own version. 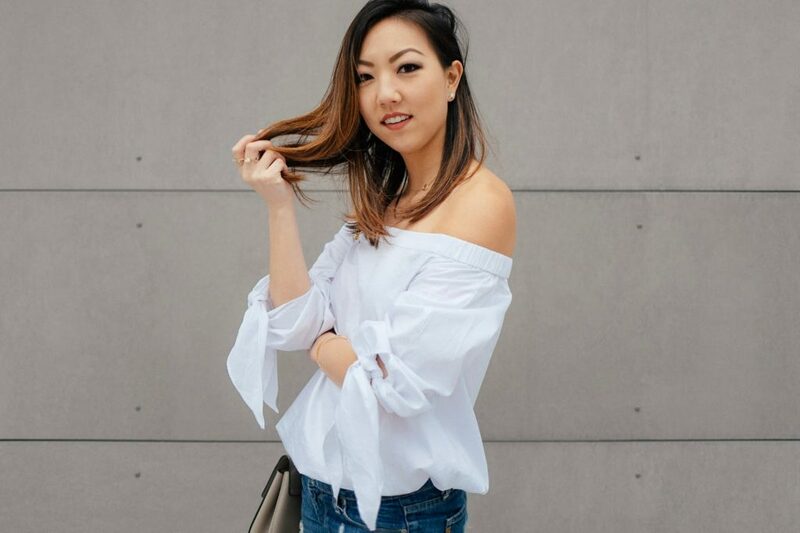 StyleWe has done a great job offering a wide selection of bell sleeve tops at affordable price points. This top, in particular, caught my attention because you can wear the sleeves loose and long or tie the ends together. I figured if you’re going to wear this trend though why not go all out? So I decided to double tie the ends and bring them up to my elbows for extra volume. If there’s any top that can give you an instant fashion-forward look it’s definitely bell-sleeves. A great outfit! Thank you. I really like your style cause it is official and elegant at the same time.